Your coffee table is your living room’s anchor piece. Choose the right one and it will help to bring the entire room decor together beautifully. To achieve an easy social ambience, your lounge decor needs comfort and style to flow harmoniously. While seating is an important aspect of your living room’s look and feel, it’s your coffee table that will influence how people interact since it literally sits between people. When chosen well, it can act as the bridge between conversation. Consider these factors when making your decision: its height and size in relation to your chosen seating, its placement, how you personally like to use your coffee table and lastly, how it fits in with the overall style of the room. 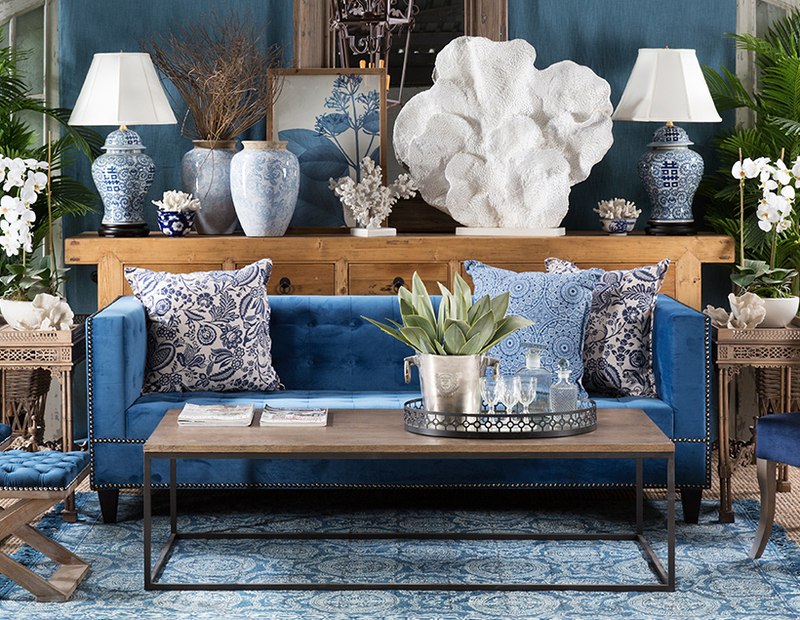 Your coffee table needs to be in proportion to your couches to maximise comfort for guests and to ensure the decor flows well between each furniture item. This is far from a trivial consideration as the right space will lend itself to better social interactions. For example, an oversized coffee table in a small living room space will limit legroom, and have an adverse effect on the flow of the space. Choose a table that allows for at least 45cm of space between it and the edge of the couch to ensure people can reach over and place their drinks glasses down easily, but just as easily stretch their legs out. The height of your coffee table is also a crucial consideration. Choose one that is too high and it will act as a blockade between the seats, negatively influencing the flow of the room. The rule of thumb is that the table should be just shorter (5 to 10cm) than the height of your sofa seat. If you don’t have room for a footstool, then consider getting a coffee table that can withstand heavier use. If storage space is an issue, consider a coffee table that can act as a storage unit too. Consider whether you simply use your coffee table as a surface for your drinks and snacks, or as a place to put your feet up. Give some thought to the shape of your coffee table. You needn’t opt for something rectangular. Instead, consider a coffee table that’s a circle, oval or even more organic in shape to add a different dimension to your space. Think out of the box and add more than one centre table to your lounge, for example, a large circular coffee table together with a smaller circular table adds a playful element to the overall look and feel. Whatever your choice, be mindful that the style of the table should fit seamlessly into your room’s overall look. Be it French Maisonette or English Country, Mid-Century Modern or Asian-inspired, your coffee table is the cherry on top for your lounge decor.